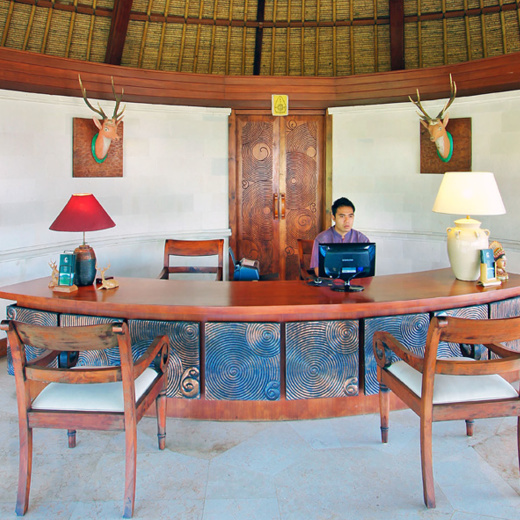 The Taman Wana Villas & Spa is an equal part of an exclusive jungle lodge, a boutique hotel and a mountain retreat. The mountainside retreat located at the edge of the Palasari Reservoir, near The West Bali National Park, only 90 kilometers (55 miles) from Ngurah Rai Bali International Airport and 20 kilometers from Gilimanuk Harbour. Built on 8 hectares or 20 acres of naturally landscaped rain forest land, the property is overlooking the reservoir, lagoon, mountainous valley, terraced paddy fields and distance Java sea. 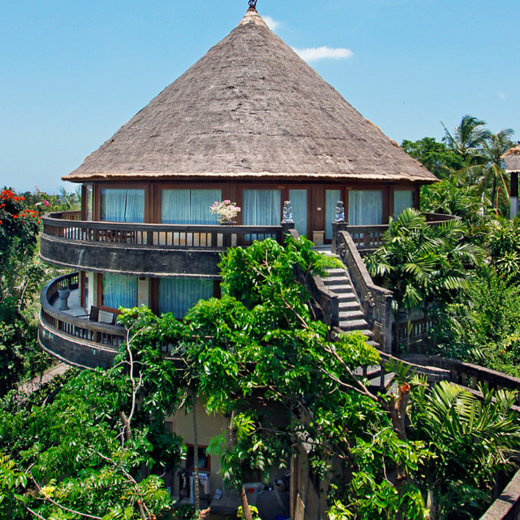 Classic thatched "Alang-Alang" roofs with the Balinese influenced design are combine to create the air of beauty and serenity. 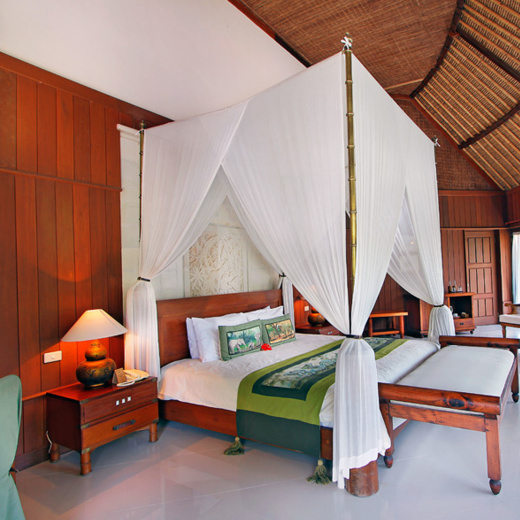 Each villa has a one elegant bedroom, all air-conditioned with shower or outside bathtub in lagoon view rooms and large individual balcony. A spectacular view of the mountains, valley, lagoon and the tropical rain forest can be enjoyed from each room in the villa as well as the raised garden pavilion. 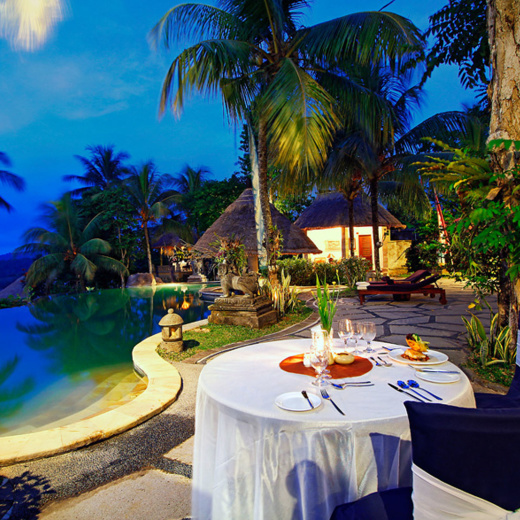 Each villa is surrounded by naturally landscaped tropical rain forest. Entrance to the villa courtyard is over a suspended wooden bridge that enhances the feel of a unique architectural design achievement.